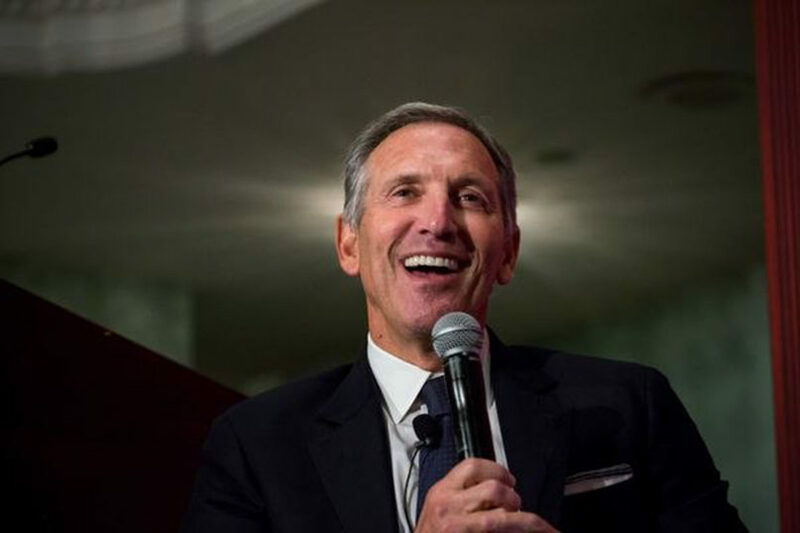 Schultz opened his first coffee shop with borrowed money in 1986 and reopened as Starbucks, which had been a coffee bean shop only, two years later. Now there are almost 30,000 Starbucks stores in 77 countries. In late June he became chairman emeritus of the company. He is also the former owner of the Seattle Supersonics NBA franchise. His net worth is about $3.5 billion. The Democratic party in Washington, where Starbucks was founded, have called on Schultz to not run as an independent. Tina Podlodowski, chair of the Washington state Democratic party, said that he could garner enough votes, mostly from Democrats, to push more states for Trump. There had been speculation that Schultz would run in 2016, but instead he endorsed Hillary Clinton. Schultz has written about his hardscrabble Jewish upbringing in New York, and about his transformative encounter in Jerusalem with Rabbi Nosson Tzvi Finkel, who headed the Mir Yeshiva.